DNA, or deoxyribonucleic acid, is a molecule compound containing the ‘blueprint’ and building instructions an organism requires to develop and reproduce. The blueprint and instructions are embedded in every cell of an organism and passed down from parents to offspring at the moment of conception. The DNA’s blueprint, or genetic code, is determined by the order and sequence of these four elements, similar to how letters of the alphabet can be arranged to create a near infinite combination of words, real or otherwise. For an organism, the genetic code determines the method and characteristics of protein production. A secondary component of the DNA is the RNA, or ribonucleic acid. This nucleic acid facilitates the translation of genetic code contained in the DNA into proteins. For perspective, the human genome contains around 20,000 genes and approximately 3 billion base combinations. The nucleotides in DNAs are held together to create two spiral-like strands which weave into a double helix structure. The sugar and phosphate groups and nitrogen bases will attach themselves unto the helix structure. Interestingly, the nitrogen bases will split and pair in the same way – adenine with thymine, and cytosine with guanine. DNA sequences are actually quite long, and on their own, they won’t be able to fit into cells. This is where chromosomes come in. DNA strands coil themselves inside self-imposed structures called chromosomes. In total, the human body has 46 (23 pairs) chromosomes which are located inside the nucleus of a cell. Human DNA was first discovered in 1869 by Swiss biochemist Frederich Miescher while he was isolating phosphate-rich chemicals inside white blood cells during his research on lymph nodes. However, the discovery initially attracted little attention. Things changes in 1951 when Dr Maurice Wilkins and Dr Rosalind Franklin from King’s College in London used Miescher’s research to identify the DNA’s long spiral with twin threads using x-ray diffraction images. Two years later, Dr Francis Crick and Dr James Watson built upon of their research to establish the molecular structure of nucleotides and their role in hereditary information transfer. In 1962, the trio of Wilkins, Crick and Watson was awarded the Nobel Prize in Physiology or Medicine for their discovery. Alas, neither Dr Franklin (who passed away in 1958) nor Miescher received any posthumous award from the Nobel Committee. 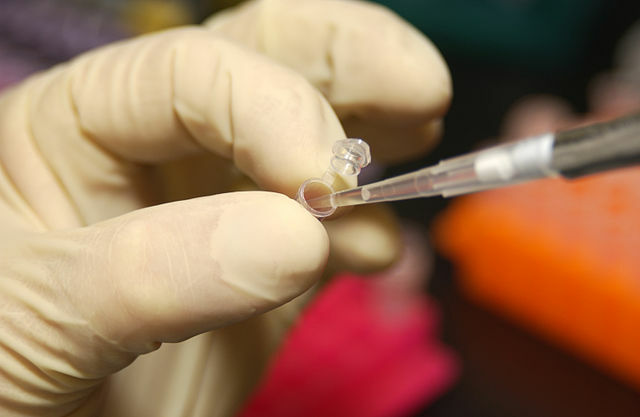 DNA testing has become an increasingly vital tool in modern medicine. DNA tests can be performed for many reasons as the human DNA contains practically all the information about an individual’s heritage. DNA tests are also capable of identifying genetic disorders, genetic mutations, or the propensity of contracting specific diseases. In addition, DNA tests are also used extensively in law enforcement for identification and profiling. In some instances, DNA tests have been used to exonerate many wrongly accused prisoners, including that of Michael Shirley, the first prisoner to be exonerated in the United Kingdom based on DNA evidence.